It's a pretty simple composition. It reminds me of some kind of journey, of adventure a hero would take upon for the first time! Very happy mood, short loop, available in multitude of formats! I really like music. Great job! 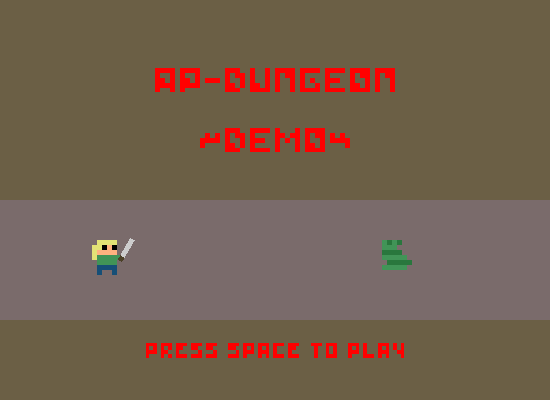 I used it for a quick little html5 game I did up in phaser.js . You can check it out at https://github.com/rantt/tri . I had to use such a great song in my new game Fast Faller. Very nice tune! Everybody loved it! Wery tallent author! I will use this track in my new game on main screen. I used this tune in some levels of my game. Thank you for a great background song. I plan to use this in my game. Not sure which one atm. Thank you very much :3! Here's another game sent to me recently, made for #LD32 by a bunch of cool peeps~! Hey lemon42! If you indeed took only one day to make this awesome track, you do have a LOT of talent. I've used your music on my Android game Rocket Lander APA, and I would love to hear what you thought about it! Ps. : There´s credits on final screen. Hey everyone! I got busy so I couldnt reply. Glad you are all enjoying the music, and thanks for the links, keep posting them! @pixelton: loved it! needs some more instructions as it was unclear you had to move with arrow keys at first! I've noticed that the OGG version has a ton of downloads. Personally, I use WAV/MP3. What is the advantage of OGG? File size? OGG has about the same file size as MP3, but without any legal restrictions (it was created as a free alternative to MP3). MP3 was a source of a lot of controversy about its free usage, because the creators of the file format wanted to be paid whenever MP3 was used, while others interpreted the law in other ways... Anyway, MP3's patents expired in 2017, so theoretically it's free to use now. However, most game making softwares have adopted OGG as a standard, so they'll convert any MP3 to OGG anyway. About WAV... WAV is lossless format, but it has enormous file size. Dang, this beat is super sweet. Thanks, bud!